Christopher Tellefsen, ACE, Oscar-nominated Editor of "Moneyball," Joins Our Next Six Week Intensive Starting April 29th! Learn the tools you need to get a career in post production. Our Next Six Week Intensive Starts April 29th, 2019 ! Early Bird ends March 29th. Find out more here. Color Grading with Resolve Classes Return to MEWShop on May 13th, 2019! Christopher Tellefsen, ACE, Editor of the Hit Movie "A Quiet Place," Joins Our Next Six Week Intensive Starting April 29th! Next Class Starts May 9th! Our Popular DSLR Fundamentals Workshop Returns June 20th! Christopher Tellefsen, ACE, Editor of the Award-winning Film "Capote," Joins Our Next Six Week Intensive Starting April 29th! Learn the fundamentals of getting started with CINEMA 4D. Next class starts May 18th. Learn more here. MEWShop continually strives to bring the best instruction and experience to our students. We understand that creativity is a process and we provide the best tools and environment to make your learning approach easier. Whether you're just starting out in the industry, or a well-versed professional, we promise that you will gain the necessary skills to get you to the next level. Sign up with your email address to receive news, class discount notifications and updates. 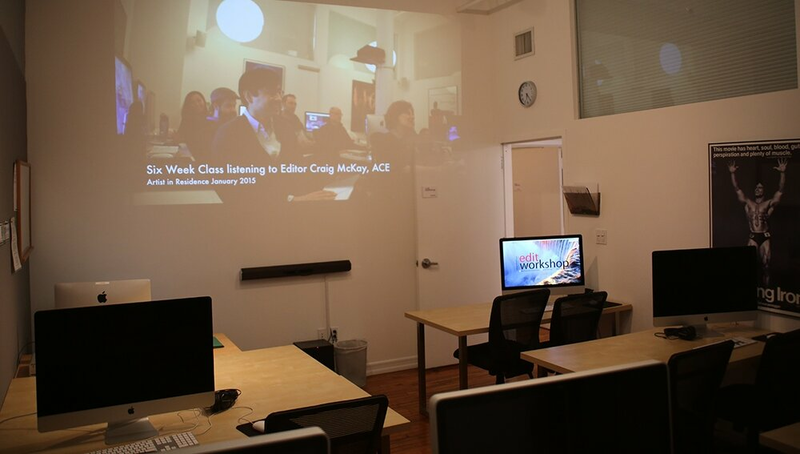 MEWShop is New York's top post-production training center specializing in video editing, color correction, graphics, DSLR video production and more.